This is where it all began. In a tiny little space on South Bellevue. For those who do not know our store, or story; Buster's Liquors & Wines was actually established over the luck of a coin toss. Romulus Morgan Hammond Jr., better known as “Buster”, co-owned and operated a small retail grocery chain in the city in the early 1950's. Named after Mr. Hammond and Tom Kirk, The Hamkirk Groceries were quite successful. In fact, Buster and Tom are attributed to being the first grocers to open on Sundays in Memphis, making Piggy Wiggly even take notice. Despite the success, Buster and Tom differed on runing things but finally found common ground on dissolving the partnership. The two men decided to set a price and flip a coin for the business. Buster, of course, lost the toss. And as the saying goes, when one door closes another opens. 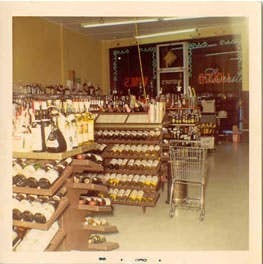 Soon thereafter, Buster was approached about occupying a space in south Memphis ripe for a liquor store. 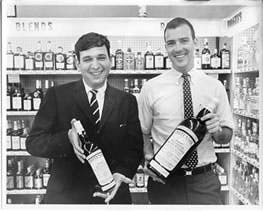 And with just $12,000 startup capital between two investors and him, Buster's Liquors officially opened its doors on south Bellevue during the spring of 1954. Annual sales that first year were below $50,000. Over the next decade, Buster found great fame with the local south Memphis market attracting customers from all over the city and north Mississippi. Buster's character and gift of gab had much to do with it. Upon the intinial sale of each day, Buster in classic form would ring a brass bell out by his front door followed by a holler of achievement - "First sale of the day!" The neighbors did not appreciate it, but that is the vocal Buster we all knew and loved. in 1966, recognizing his father's success, R.M. “Rommy” Hammond III opened his own store in downtown Memphis. It was appropriately named Sterick Liquors for the building it occupied. However, it was very short-lived because soon after, Martin Luther King was assassinated and downtown Memphis quickly suffered with decline. Like many shop owners of the day, Rommy and Buster made the crucial decisions to close both of their respective shops and move out east to take advantage of the growing suburb population east of The Parkway. That was in 1969 when Buster was, once again, approached about occupying a little retail space in a tiny building at the corner of Poplar and Highland. Buster wasted no time yelling, "I'll take it!" The store faced Poplar while customers had to literally back their cars out onto the busy avenue to exit. Many Memphians may remember it as the place McCool's Cothing Store occupied along with Amro Music. The ink on the lease had not even dried before Exxon "came a knocking" to purchase that immediate corner. The landlord made the sale, but not before he promised Buster a new home in the new Dillard Square building that would erected before the Exxon takeover. Near completion in 1970, Buster's was preparing to occupy space adjacent to the Malco Theater on the backside of the building. Just days before opening however, the corner nearest Highland and Poplar came open; as another expected tenant, an ice cream parlor, bailed on signing a lease. And once more, Buster was approached about filling that vacant space. If you listen quietly, you can still hear Buster screaming, "I’ll take it!" And so, by 1970 Buster's had finally arrived at its present day location. The center has since been renamed the University Center becuase of its proximity to the University of Memphis. That year, Buster's occupied less than 800 square feet and annual sales peaked at $310,000. 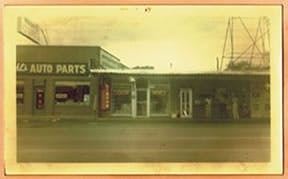 After overseeing two location moves and all the daily operations, Rommy assumed leadership of the company in 1970 and friends quote Rommy saying "One day, I'll have the biggest liquor store in Memphis!" Well, Rommy can confidently lay claim to achieving that goal and setting a standard for the retail wine business not only in Memphis, but throughout Tennessee. Buster passed away in 2007 at a ripe age of 97. Today, Rommy’s three children run operations with the help of their incredible staff. Buster's is located in the heart of the city near University of Memphis, positioned directly in the epi-center of the I-240 loop that surrounds Memphis. Since that move over thirty years ago, the Poplar & Highland intersection has remained one of the busiest intersections in the entire city. Three major arteries connecting downtown with East Memphis converge nearby. Those three arteries are Poplar Avenue, Walnut Grove, and Central Avenue. Buster's has the largest selection of wine and spirits in Tennessee. We specialize in stocking difficult to find specialty wines from around the world and much of our selection is attributed to a "yes attitude" toward new products. And because of Tennessee regulations, the types of products a liquor store can carry are extremely limited. So, when the wine industry began booming in the early 1970's, Rommy welcomed and embraced it. Always having a "yes attitude" has helped our selection grow to over 10,000 items and we continue the practice to this day. Hence our traditional and trademark slogan, "If we don’t have it, then you don’t need it." Our other trademark slogans include, "The Supermarket of Fine Spirits" and our modern day slogan, "We Have Your Spirit!" Because of our selection, our customer base represents a broad range of folks. And since the beginning, it has always been Buster's approach to treat each customer with the utmost respect. Back in the day, it was taboo for women to set foot in a liquor store, but Buster's boldly advertised, "Ladies are cordially welcomed." Old ads depict snapshots of Rommy and Buster smiling while stating "we will even open the door for you". A practice continued to this day with the help of an automatic front door installed in the late 1970's. Thank goodness, because their arms were getting beyond tired. Being an industry leader also means having the best prices. That is why Buster's customers do not shop for just one bottle. Instead, many of our customers use shopping carts to purchase cases and save with mixed case discounts. Over $1 million dollars in discounts has been saved by our customers alone over the last three years. And that number does not include our weekly sales savings and "low-ball" 1.75L prices. As Busters says, "Get a hunch, and buy a bunch!" Buster's has literally grown from a two-man type "pop and son" operation to a nationally respected wine shop that could not have happened without our staff. It takes great employees to offer quality customer service and value. Buster's has been blessed to employ intelligent, trustworthy, and hardworking people. Our employees epitomize respect and courtesy, and they deserve much credit for our continued success. In addition to the daily operations, our employees conduct tastings, wine dinners, research, consultation, party planning, and help manage our extensive inventory. Buster's has been extremely fortunate to expand through the years. We have occupied several buildings and expanded numerous times. Each expansion, Buster's never closed for a single minute. The adjacent addition was simply constructed and appropriately stocked. Then, the wall in between came down. 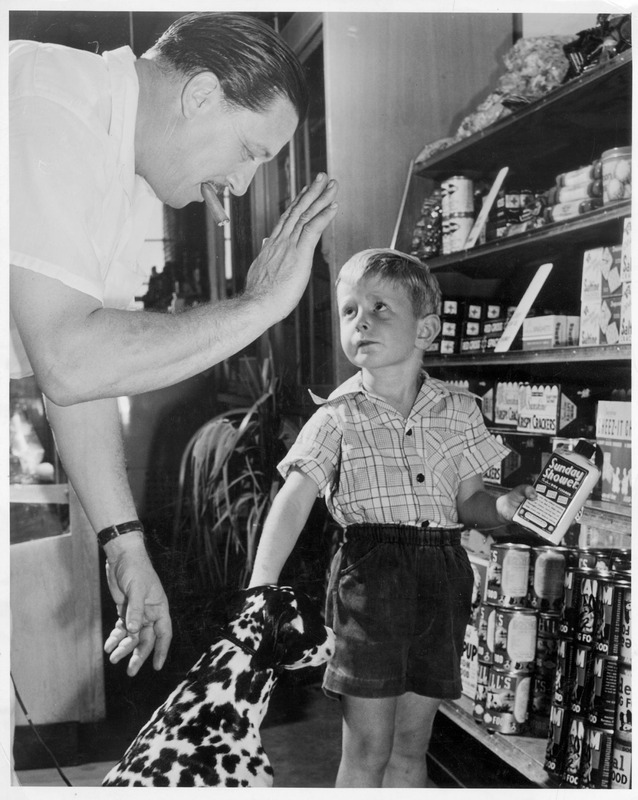 It's been quite humorous over the years to notice customers who picked up on something different, but failed to recognize they were shopping in the new part of the store. Today, Buster's is the largest volume dealer of wine and spirits in Tennessee operating out of 10,000 square feet boasting the state's larget selection of fine spirits. We have the most knowledgeable staff in the region and we are ready to serve you! We hope you come see us and enjoy your visit.